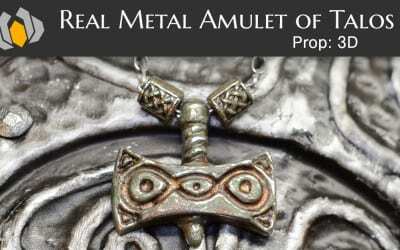 We’ve made The Elder Scrolls V: Skyrim costumes, weapons, masks, and even finished resin kits from some great makers! The weapon designs in Skyrim are so badass and we couldn’t resist making some. 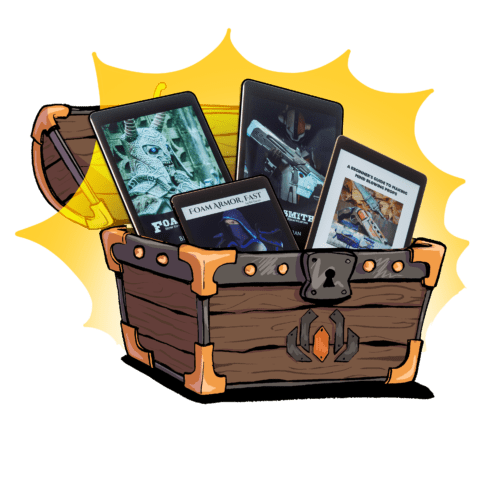 Fortunately, we’ve gotten our hands on resin kits from other makers, too, so we’ll have even more Skyrim pieces in our collection! 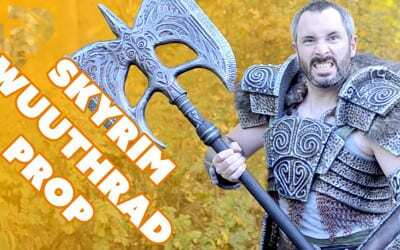 The Skyrim Draugr Costumes are still one of our favorite builds. Cosplaying as undead bad guys at a convention is always fun–especially when we run into Dragonborn! 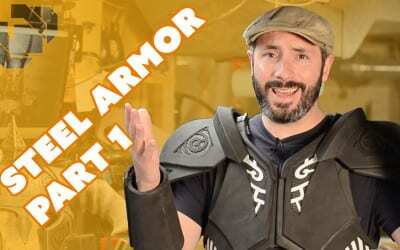 The Skyrim Steel armor is finally done! Follow along as Bill gets everything strapped up, adds fur, and puts together the final touches. Time to transmute foam into steel! 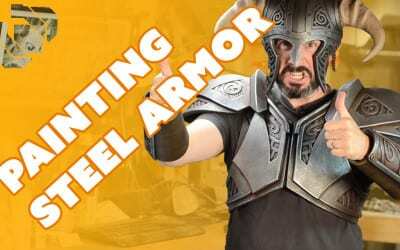 Follow along on the 2nd part of the Skyrim Steel Armor build as Bill lays down some paint to make the foam look like actual steel! 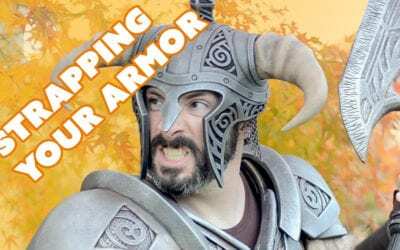 In this first of three videos, Bill talks you through the process of making your very own Steel Armor costume from Skyrim. 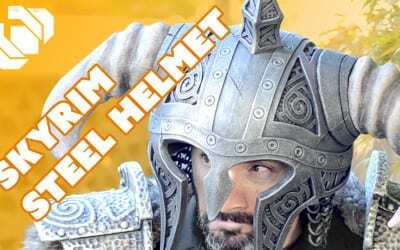 Every good set of armor is improved with a sturdy helmet! 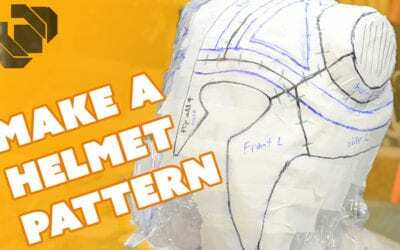 In this complete tutorial, Bill shows you every step the Punished Props team took to create their own Skyrim costume piece. To help spread the word about Skyrim Special Edition, Bill shows you how to build the legendary two handed axe, Wuuthrad. Follow along using free blueprints, cheap tools, and easy to work with materials. 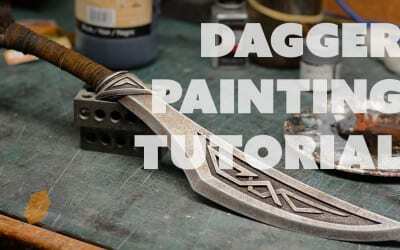 Bill paints up a Skyrim dagger kit using some simple model finishing techniques. 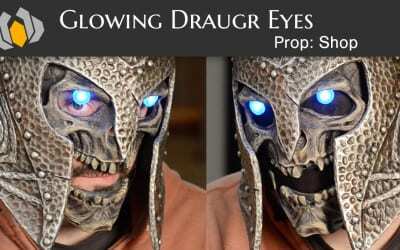 Bill shows you how he made those sick glowing eyes for his Skyrim Draugr Deathlord costume! 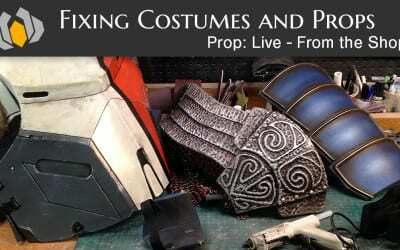 Building a Display for your Cosplay Prop! 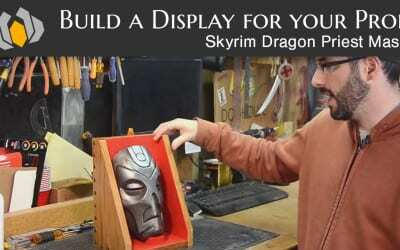 Bill does a quick build to make a display for his replica prop Skyrim Dragon Priest mask! 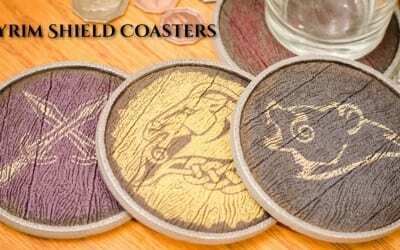 I decided to make sets of coasters for holiday presents. 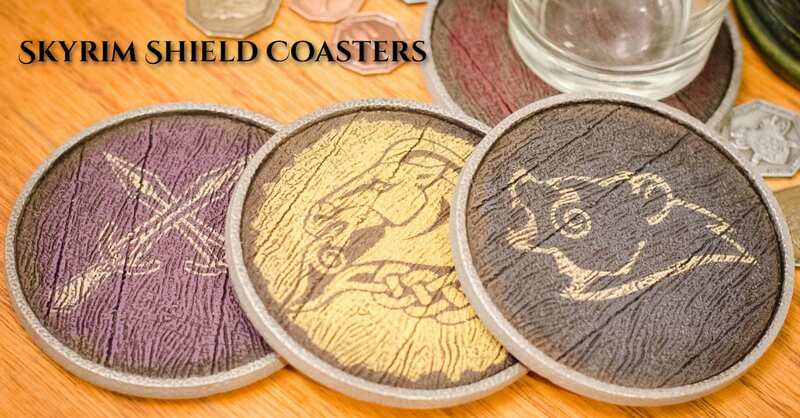 These coasters are specially shaped to be little Skyrim shields, with the house symbols!